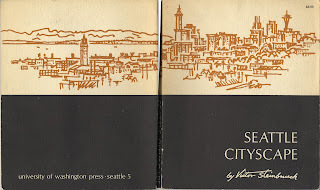 Over the weekend I came across a copy of Victor Steinbrueck's "Seattle Cityscape" at a estate sale. I paid $7.00 for a very clean copy in wonderful condition. Looking through it, my first response was Victor was the grandfather of the Seattle Urban Sketchers. This book was published in 1962, the year my family moved to Seattle. The freeway had just been finished and of course the World's Fair was underway. This is a wonderful record of a young american city that was just at the beginning of some dramatic changes. 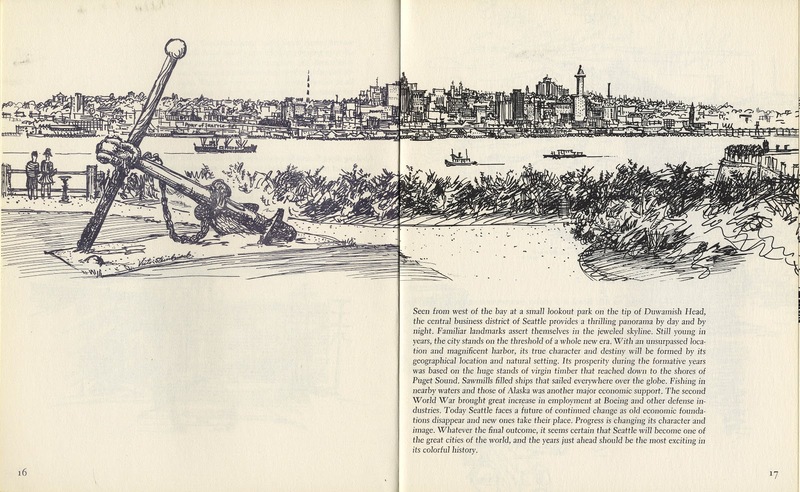 We (USkSeattle) are presently documenting the current "teen years" Seattle with some things still the same, but many- many changes from the Seattle of 50 years ago. 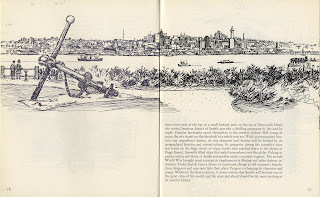 The one view I included from the book is similar to the views from September's sketch crawl at Jack Block Park. Note the changes to the downtown in the last 50 years. Amazing!! Too cool! Thanks for sharing that.